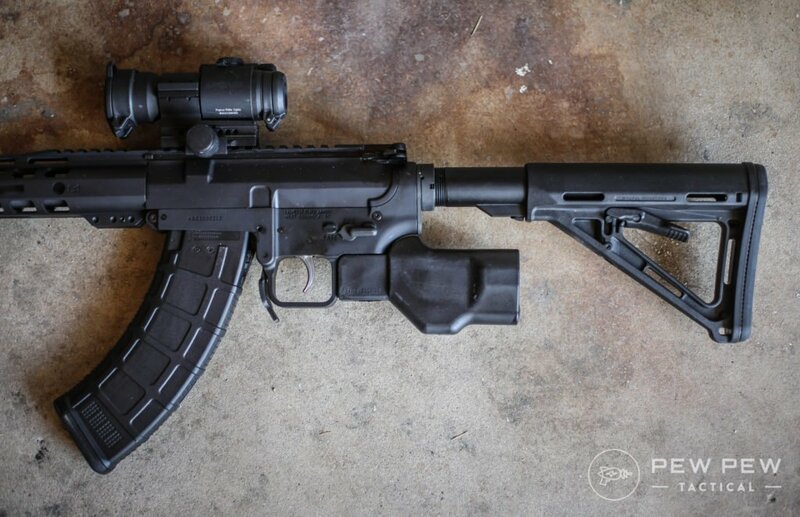 Want to go featureless but want your AR or AK to still look and feel half-way decent? 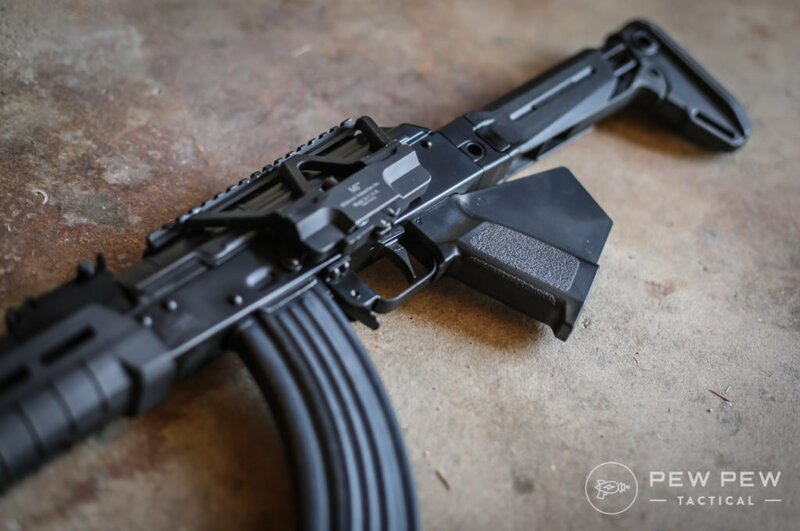 I’ve been building and shooting featureless rifles for years…because I love that real magazine release (and use of regular capacity magazines). I still haven’t found the “perfect” featureless grips, but here are my favorite ones for different purposes and budgets. Let’s first quickly go over some legal stuff before diving into them! 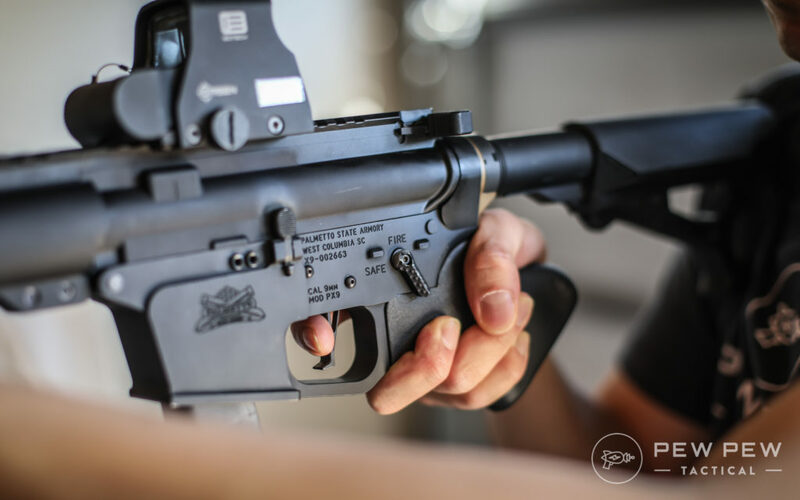 I go over the legal stuff for California and New York much more in-depth in our Guide to Featureless AR-15 Builds. Disclaimer that this is not legal advice and you should double-check everything, especially since the laws surrounding this always seem to be in flux. But now you know why the grips you’re going to see are a little funky so they don’t count as an evil feature. 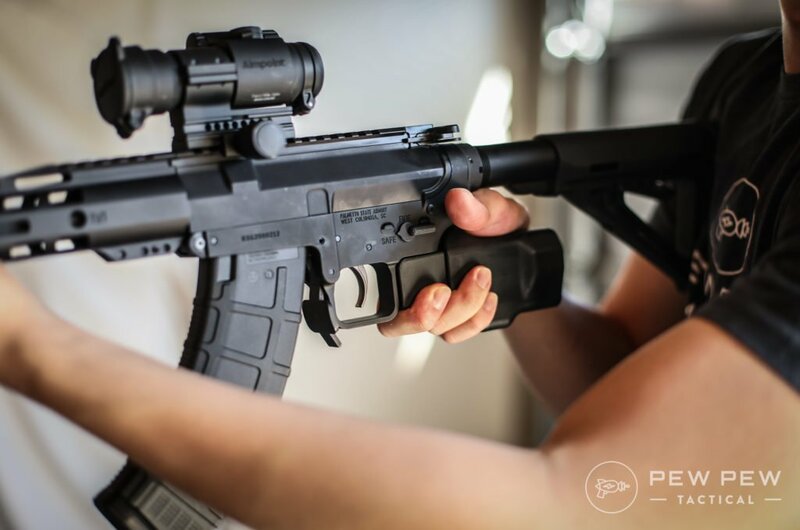 One of the first standalone featureless grips to hit the market was the Hammerhead. I have a little shoebox of these guys from all my builds. It looked weird but did it’s job in keeping your hand web above the trigger. Unless you had giant hands it kept your shooting hand on one side too. You could wrap your thumb around to the other side…but the receiver end plate would gouge your web. And my thumb was not long enough to reach the safety. However, I still ran competitions ok with it. But now that there’s newer stuff out there…I’d pass on it unless you’re going super budget since it can be had for sub-$15. 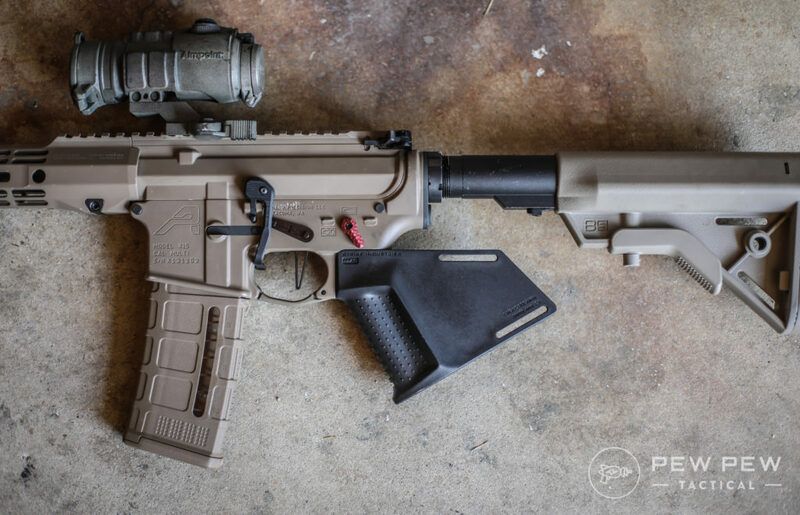 This was another oldie…you simply buy a Kydex wrap that goes around your grip. They’ve fallen out of favor but are still available for old A2 grips. And they are surprisingly up there in price…so it’s another pass. I upgraded all my Hammerheads to the Strike MegaFin. I made the switch because it had a thumbshelf on the right side. Your entire hand is still on the right side…but now you get TONS more support. Overall looks were better compared to the Hammerhead and grip fins too. The left side was very normal (sorry lefties). Since all your digits are on the right side…you’ll need an ambi-safety. But the position of the thumbshelf got in the way of traditional ambis. 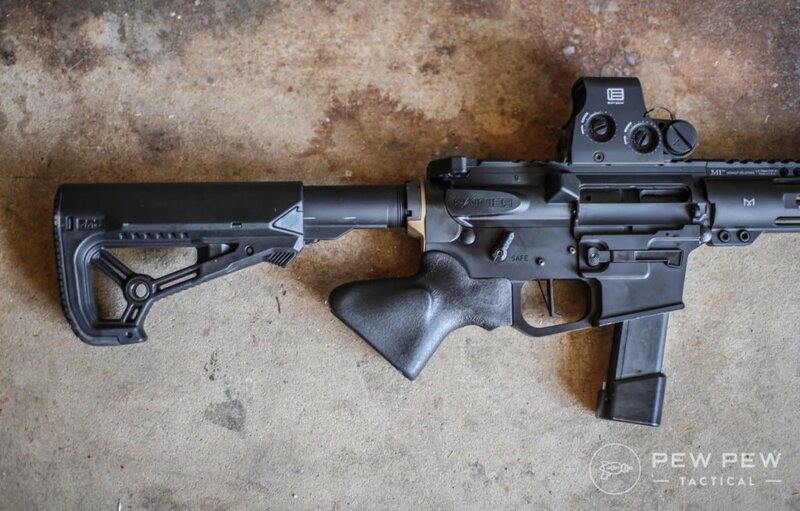 And since it’s ill-advised to modify the grip…I went and reversed my Seekins safety. Instead of flipping down…you would flip up. I also ground down the sharp “arrow” part of it so it wouldn’t touch my thumb. It took a little practice…but it became second nature and was easy to disengage at the buzzer…and even re-engage at the end of a string. One of my favorite solutions at the moment especially if you want to shoot and move at the same time…or move quicker between targets. Still with me? I’ll quickly cover two more options before I hit my favorite. Strike is really on point with their featureless grips. 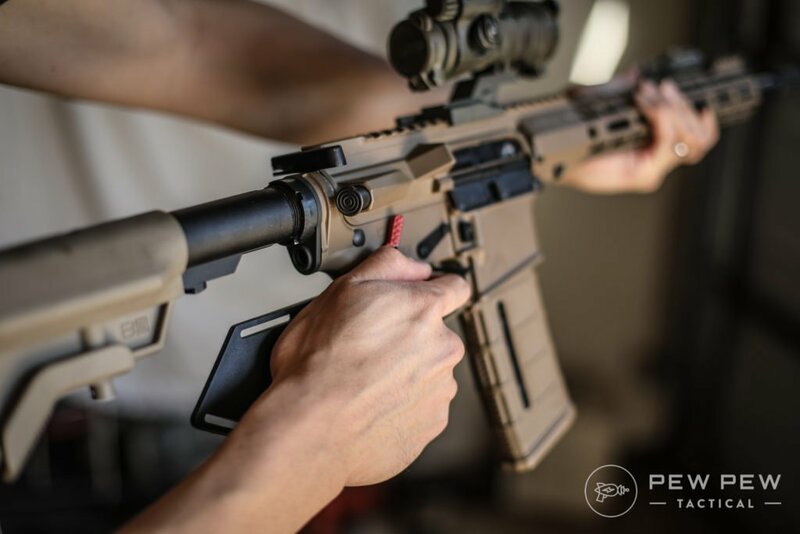 If you want the current most affordable grip…get their Simple AR Grip. The Thordsen Stock was also from a while back…and were really effective by giving you an almost regular pistol grip experience. But it looked weird…and was not great in the cheekweld department since you only had this tube. I’m a cheekweld connoisseur and it just wouldn’t cut it. 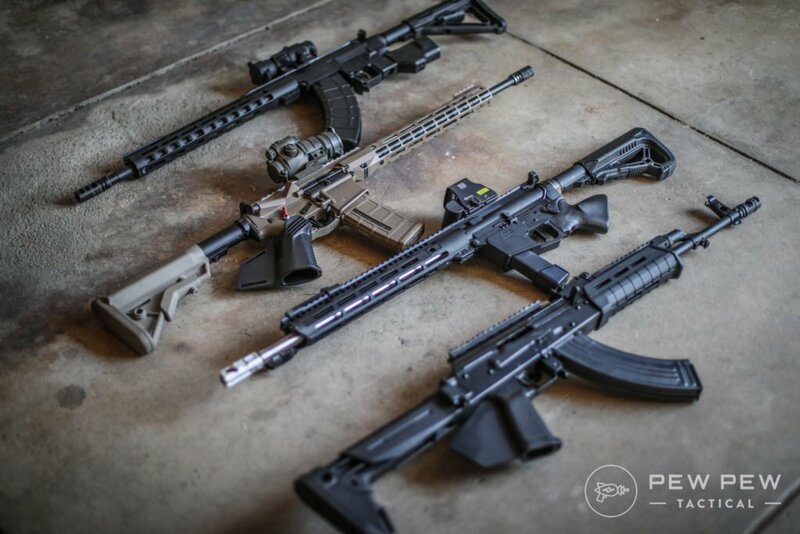 Check out Best AR-15 Buttstocks to see my favorites. Plus…they are still around $150. The newest grip I’ve been using and currently my favorite is the Resurgent Arms. Then when I finally got to try one…I fell in love. Because you got to get your thumb on the other side…and didn’t scrape up your web in the process. Plus, you could hit the safety selector. And…check out this gold end plate…it’s beveled for your comfort. Of course…you can just use a few layers of duct tape over a regular end plate too. I tried it…looks ugly but works fine. Now I had a nice steady grip around my rifle. It definitely helped my shooting on the move and transition speed. However, there’s still some things to consider. First, that end plate is $35. And second…it’s hard to re-engage the safety when it’s down. Good thing here is that Resurgent has an extended safety latch that’s due in April 2019. I have it on pre-order so I’ll let you know how it goes. Lastly, your length of pull gets pushed out a little because of the grip. It’s not that noticeable for me since I have average length fingers. But it can be a problem for those with stubbier digits. 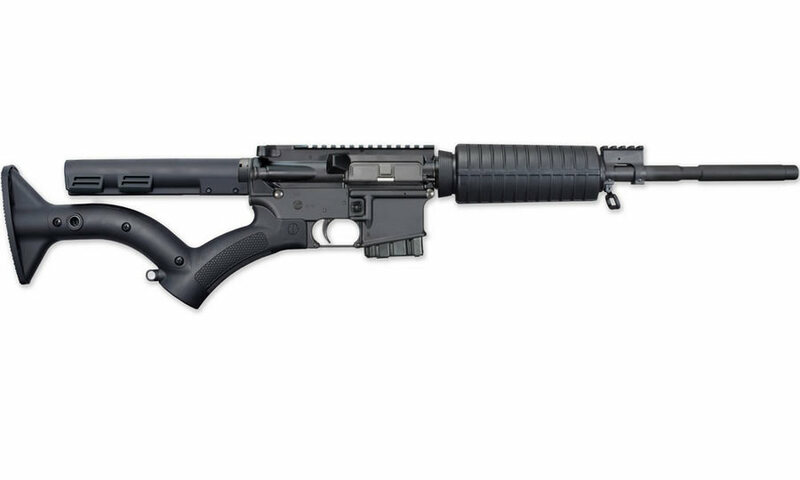 But considering all those things…the Resurgent Arms grip is still my favorite. 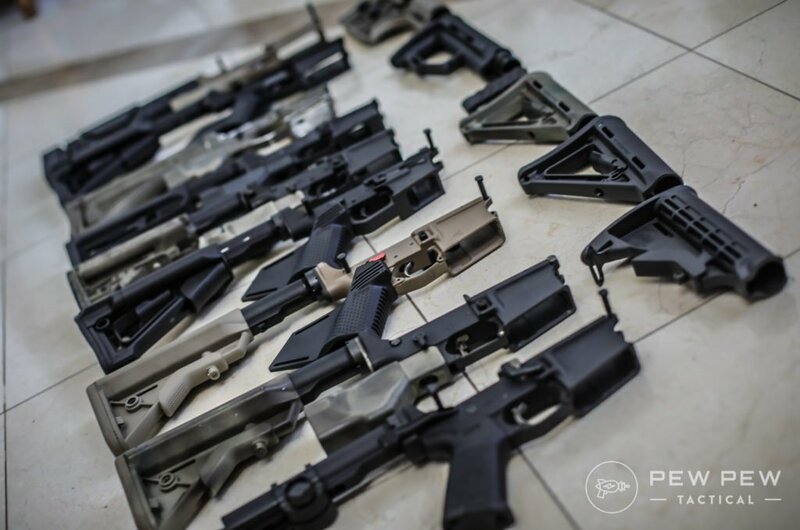 I reached out to them and they’ve set up a 10% off coupon for Pew Pew Tactical readers. Use the code “PEWPEW10” or the link below. 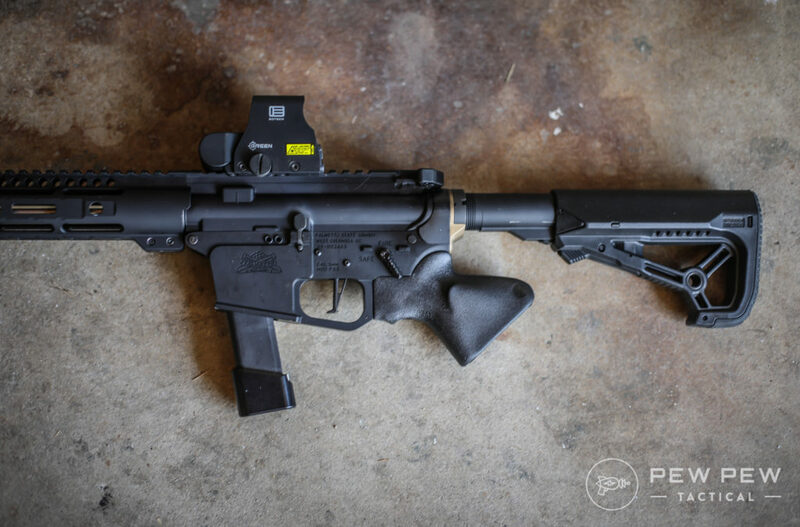 What’s your take on Resurgent Arms? There’s not too many…I like the Simple Grip. Again…it just works and is affordable. This one is pretty cut and dry for me. 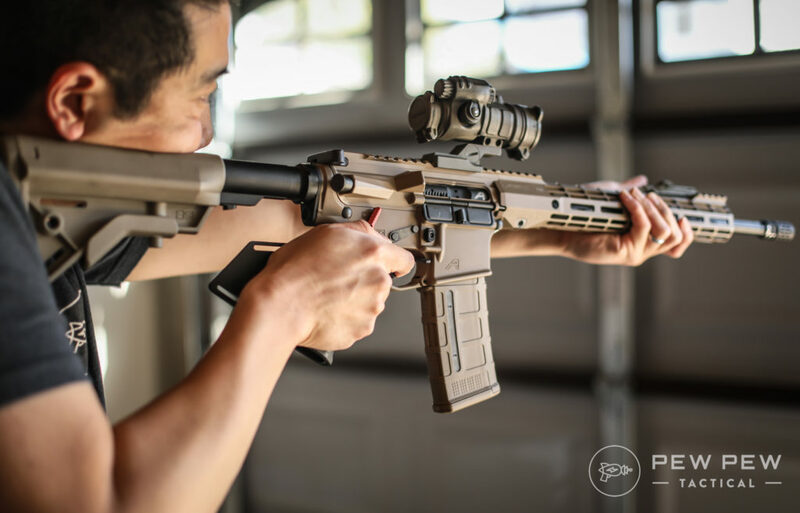 If you want the bare-minimum to make your rifle legal in the pistol grip department for California or New York…check out Strike’s Simple Grips. If you want something that’s pretty good in giving you a first grasp on your rifle and won’t break the bank…try the Strike MegaFin. 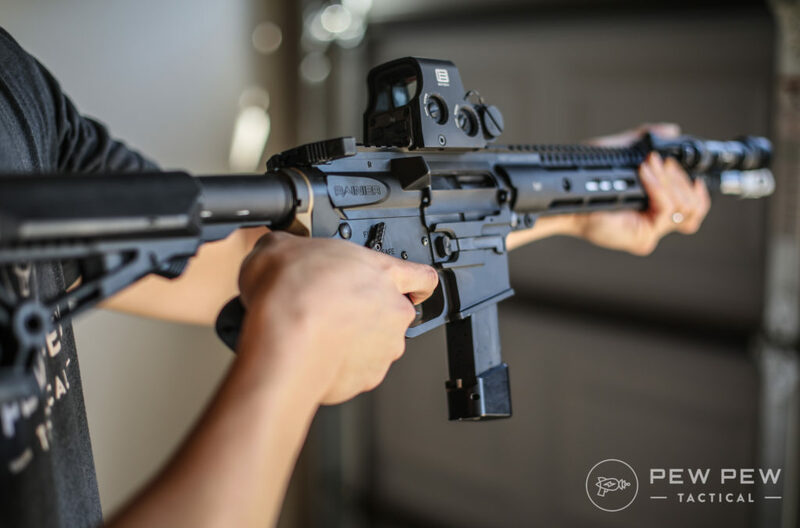 And if you like my current favorite that lets you wrap your thumb around like a free-state person…check out the Resurgent Arms with 10% off code “PEWPEW10“. There’s tons more grips out there…let me know what else I should check out. 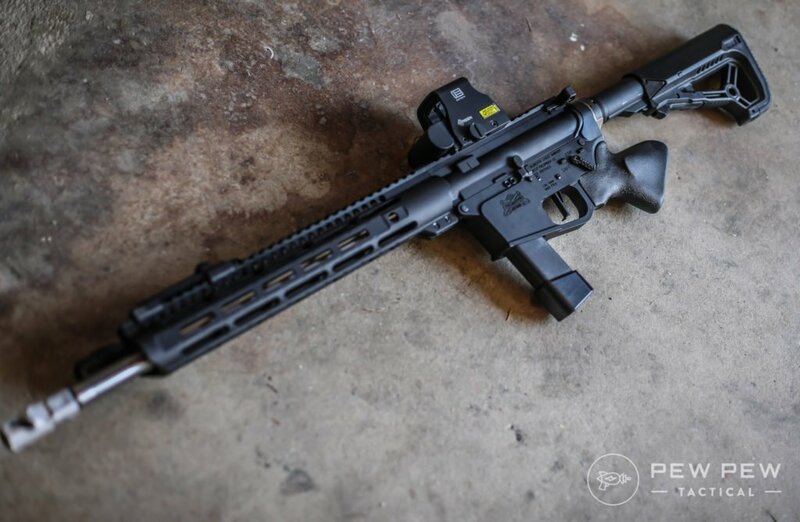 Need more info on how to make your AR featureless? 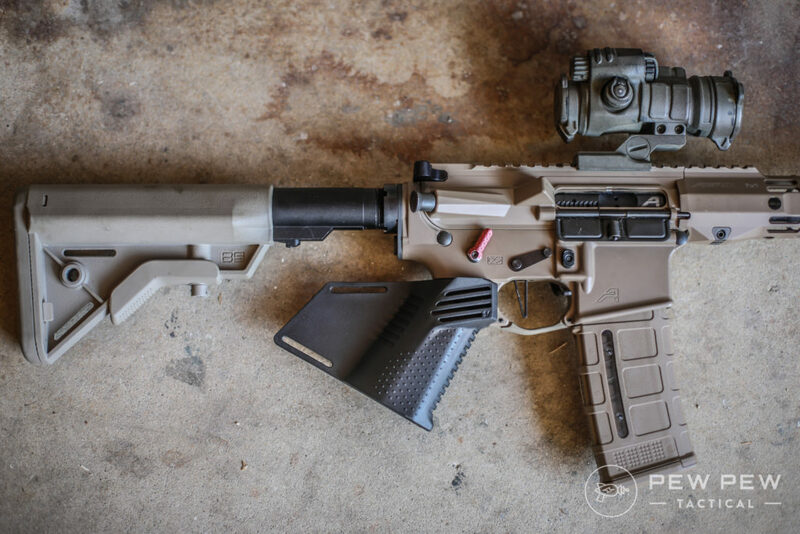 We cover stocks, muzzle devices, and more in our Featureless Build Guide. 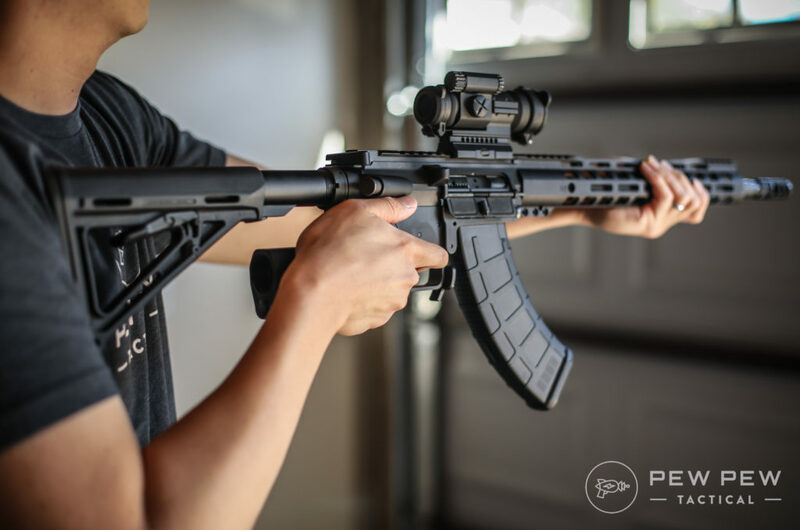 The post Best AR-15 & AK-47 Featureless Grips [CA & NY Compliant] appeared first on Pew Pew Tactical.